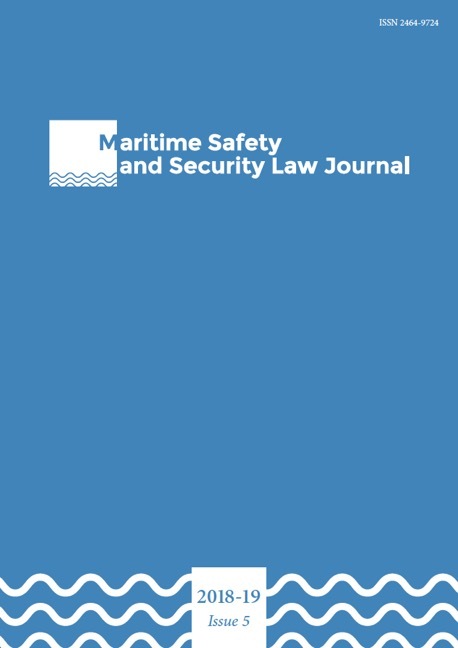 The Maritime Safety and Security Law Journal (MarSafeLaw Journal) highlights the most recent and relevant developments in the field of maritime safety and security from different legal perspectives (notably law of the sea, environmental law, immigration law, human rights law, international criminal law and other relevant sectors). Special emphasis is placed on timely topics, recent judicial decisions, new legislation and current law reform proposals in the field of maritime safety and security matters. The MarSafeLaw Journal contains doctrinal articles as well as commentaries on case law or laws and regulations at the national, regional or international level. The MarSafeLaw Journal is an open access, peer reviewed journal, published in English within the framework of COST ACTION 1105 MARSAFENET (www.marsafenet.org). The Journal was founded by the MARSAFENET Chair, Gemma Andreone, together with a group of international scholars (Claudia Cinelli, Kiara Neri and Anna Petrig). The Journal is published twice a year, with the first issue published in July 2015. The MarSafeLaw Journal is an Open Access journal. This is in line with the open access policy promoted by COST Association. Its articles are published under a Creative Commons “Attribution, Non-Commercial, No Derivatives” license. On occasion, the MarSafeLaw Journal will also publish short submissions (e.g. a book review, topical opinion piece, student standpoint) of 1,000 to 3,000 words. If interested, please email info@marsafelawjournal.org for more guidance. The MarSafeLaw Journal submits each article to internal and external review. Regarding the external review, the journal follows a system of double-blind peer review. This means that the reviewers remain anonymous to the author, and the author’s name and other identifying information is removed from the manuscript under review.